Five regional districts representing 75% of the population of BC are partners in the Georgia Basin Inter-Regional Educational Initiative (IREI). The Regional District of Nanaimo (RDN) is one of the five. Led by the Partnership for Water Sustainability in BC, the over-arching goal of the IREI is to provide tools to help organizations achieve their water sustainability goals. 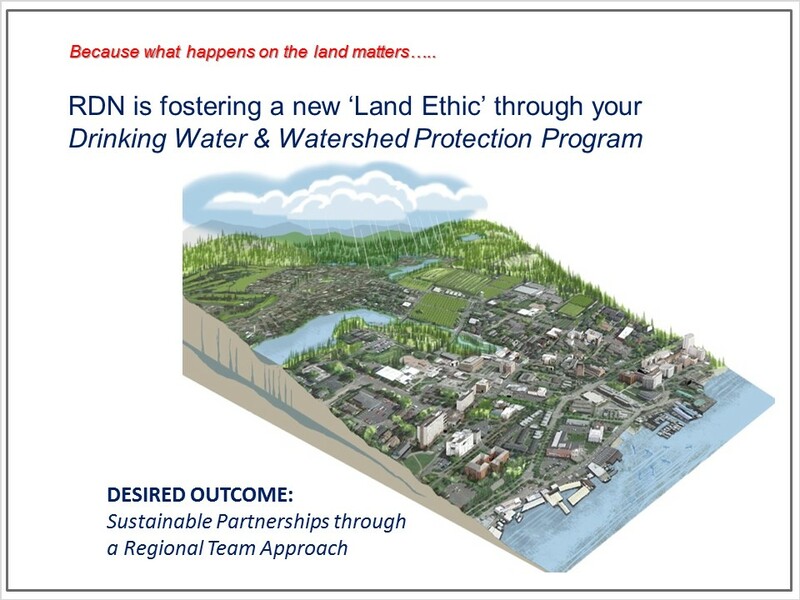 In May 2016, Kim Stephens (Partnership Executive Director) met with the RDN Board to introduce them to Beyond the Guidebook 2015: Moving Towards “Sustainable Watershed Systems, through Asset Management”. Released in November 2015, showcases five “regional stories”, including that of the Nanaimo Region. “My purpose in meeting with you is to provide you an overview of the work of the Partnership, our goals for the coming years, and to introduce you to Beyond the Guidebook 2015, the third in a series of guidance documents. As part of the roll-out, we have already met with the Boards of the other four IREI participants,” stated Kim Stephens in his opening remarks to the RDN Board members. “The Drinking Water & Watershed Protection Program is a notable accomplishment because it is helping to foster a new ‘land ethic’ among land and water practitioners. The program is helping to create an understanding that actions on the land have consequences for water,” concluded Kim Stephens. 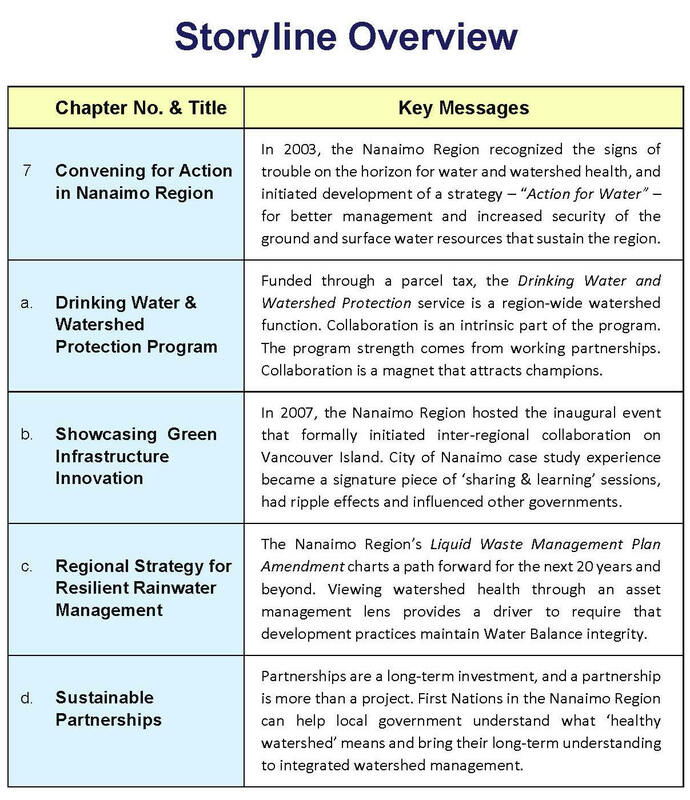 Download Beyond the Guidebook 2015: Presentation to the Regional District of Nanaimo Committee of the Whole in May 2016 to view the complete storyline for the presentation by Kim Stephens. The Regional District of Nanaimo chapter in Beyond the Guidebook 2015 is 16 pages and is organized in five sections as shown below. 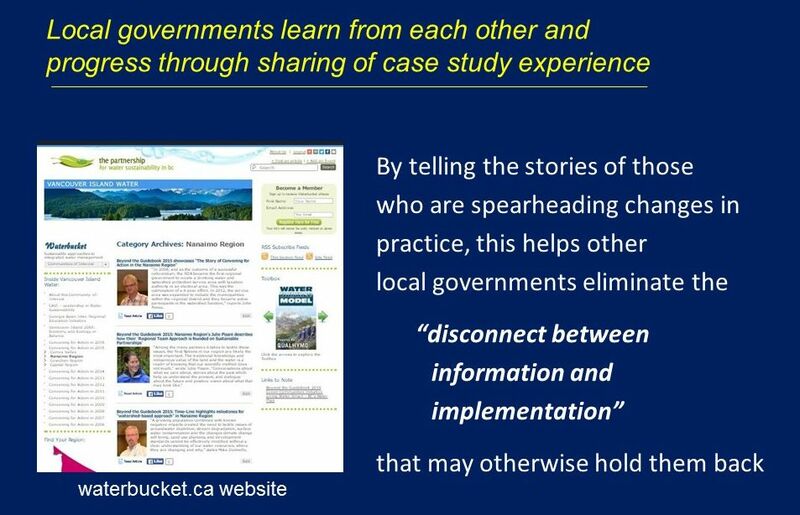 To download a PDF copy and read the complete story, click on Convening for Action in Nanaimo Region.